Born of a love for pre-owned clothing, new exhibition Thrift uses a selection of images to celebrate resourcefulness over wastefulness. 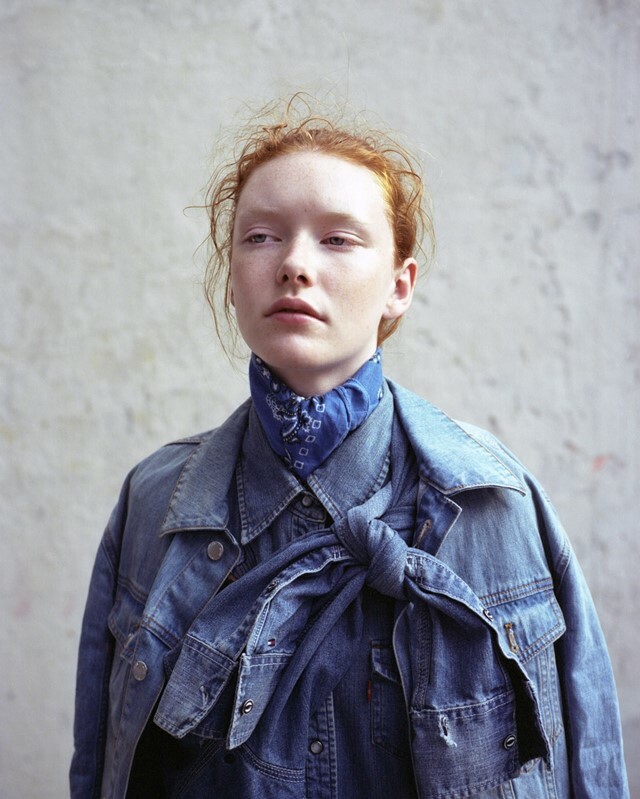 As part of a project by London-based photographer Will Grundy and stylist Beatriz Maués, Thrift champions vintage shopping over fast-fashion and promotes sustainability through the medium of a unique accompanying picture book. Featuring fresh-faced models and filled with contrasting street shots in London, Berlin, and New York, the publication achieved its effortless aesthetic primarily through travel and the diversity of the people included. Candid images of youths dressed in timeless Levi’s denim and graphic tees reading “there is nothing so stable as change” is telling of Thrift’s ethos and clearly depicts the message that Grundy and Maués wanted to voice. Both the book and the exhibition includes images of the sculptural realisations of the clothes featured. Effectively, alongside the beauty is a conflicting collection of photographs and a short film focusing on the world’s largest landfill site, Lixăo da Estrutural in the city of Brasília in Brazil. The biggest in South America, prior to its closure at the start of the year, its workers would process around 1,000 tonnes of garbage daily. Capturing the sheer expanse of the dump of a city of nearly three million people, the six-minute video accentuates the ugly truth of consumerism by transporting the viewer to its limit. Thrift runs from the 25 May-29 May at 59 Hackney Road, E2 7NX from 11am-7pm.